Online Advertising is growing at a faster rate in last few years. Every Webmaster and blogger prefer to use Google adsense to monetize their traffic. Google Adsense is one of the best ad platform for publishers. No doubt their is no comparison of all others networks with Adsense. Just because of Ad Quality, Revenue, Features which makes Adsense best publisher platform in advertising industry. Every Webmaster or blogger’s first priority is to get adsense approval and start earning from it. Just because its a stable and reliable platform. Obviously, its Google’s product so we can trust. For better guide about Adsense working must check Making Money from Google Adsense. But the only issue with Google Adsense is its approval process and strict Program policies. If any blog or webpage does not comply with policies then we cannot monetize it by using adsense. Otherwise if we don’t follow program policies Adsense may disable our account. According to Adsense policies we may not get approval on sites which promote or publish pirated products & softwares, NSFW content and many more which we can check policies page. But on the other we also need to maintain content quality and take care of placements if we do not want to get banned from Adsense. These are certain issue regarding Adsense approval and protection. So today we will discuss about Google Adsense Alternatives in case your adsense is banned or facing programs while getting approval. So the best option which left is go for Google Adsense alternatives ad platform which performs good with or without adsense. Many users always worried about will other network perform like adsense. We only can say “Something is better than Nothing” So the only key to success is gain more traffic choose right way to monetize it. So below given are different networks including PPC, CPM, CPA, Native and more alternatives to adsense. Simply try them and then continue on which perform better. List Of Best Google Adsense Alternatives. Propeller ads is fastest growing display and mobile advertising platform. It can be used as best google adsense alternatives. Both Advertiser and publisher can join this platform. This platform serving ads on bases of eCPM. Which means ads will monetize traffic with combined CPC, CPM & CPA offers. They provides robust reporting dashboard to measure our earning. We can use propellers ads on Web, Mobile and videos. Getting approval from this platform is really fast as compared to adsense. Minimum Payout:- $100 Via Payoneer, Wire, ePayment, WebMoney. Bidvertiser is one of the oldest known pay per click platform in advertising industry. Whenever we all think about anyPPC based google adsense alternatives. First name which comes out is Bidvertisers. Both advertiser and publisher can join this ad network. They provides various Ad formats and techniques to monetize traffic. We can use Banner ads, xml feed ads and can also create toobars which meaning we can design custom toobar and earn from it by get more installations. Bidvertiser approval system is really simple no need to worry about this. Minimum Payout:- $10 Via PayPal, Payza, $100 via Check, $500 via Wire. Another name in industry which is popular as an adsense alternative and even preferred to be used along with adsense for extra earnings. Infolinks is Intext based advertising platform that means it will randomly pickup keywords from content and create ad toolbox type ad on that keyword. Along with this they also provide In-tag which keyword cloud ad, In-Frame, In-search and In-article which is native ad. Overall there are multiple options to monetize our traffic. We recommend to use this with other platform networks together. So this will boost our earnings. Approval system is not so hard, they approve most sites accept the categories listed in there policies. Minimum Payout:- $50 via PayPal, Payoneer, eCheck, $100 Via Wire. Revnuehits is multi channel ad network combination of CPC, CPM and CPA offers. This network can be choose as google adsense alternatives option. Revnuehits is fastest growing platform in industry. They are providing Rich media, Display Banner, Popunder ads in various ad formats. Revenuehits is better option if your site is capable of selling products like software, apps, products type site. Because this platform is mainly focused on CPA ads. Overall this platform is good option. Also there are many success stories about this platform. So its better to try and analyse this platform to check earning potential of your blog. Its easy to get approval there so need to struggle on it. Another fastest growing platform in advertising industry. Adsoptimal has adopted many latest techniques of serving ads. They are providing 360% virtual reality ads for Desktop, Mobile, Tablets and Smart TV’s and Display banner ads also. There are various ad formats like Page level ads, Video ads, inline ads and many more. So if you are searching for adsense alternatives then you should also try this ad network. It takes 1-5 business days for getting site approval. Minimum payout:- $50 via Paypal, Check. PopAds primarily based on popunder or popup ads. This is top ad network for popunder ads in advertising industry. If you have any site on software, file sharing, video sharing where you receive huge traffic but not able to use adsense. Then popads is best as adsense alternatives. Simple create your account and add their script on your blog and start earning. No need to worry about approval. Popcash is another ad network focused on popunder ads. This platform can also be used as best adsense alternative. In case you don’t want to use Pop ads then this network is best for popunder ads. Stats reporting system is good. Easy to get approval simply add your blog and get script and paste it in your site and start monetizing. Minimum Payout:- $10 via PayPal, Payza, Paxum. No doubt commonly we all know about CJ, Clickbank, shareasale big platforms for affiliate marketing. But earning from CPA offers is not an easy task. Many softwares that are based on eCommerce also have their affiliate platform. But here it is a better alternativethan using all of them separately. Suppose if we are using 10 different companies,each having minimum payout between $10-100 so from each platform we need to reach payout otherwise earning will be in platform account not in our hands. So by using common platform we can easily reach minimum payout under one roof. For this purpose, viglinks type auto affiliate platform is the best solution. They have integration of various merchants and automatically convert our normal URL with affiliate if that company or software has this feature. We just need to install same piece of script and start earning from those URL’s which you never thought were supposed to be monetized. Another platform similar to viglinks. But can also be used as wonderful adsense alternative. They have more that 20k merchants. So if you want to earn from affiliate marketing commission from sales of products, then this platform is good option. We don’t need to manually install affiliate links for big platforms. There automatic system will convert all profitable URLs with affiliate. This platform is good option for product, software, review based sites. Simply join and integrate script and start earning. 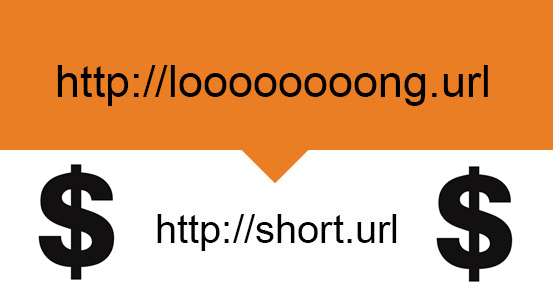 We know that you might be thinking how can URL shortener site can compete with adsense. If you have any file sharing, movies, video hosting, software, type site where adsense is not eligible, then these URL shortener platforms are really best adsense alternatives. We don’t need any separate popunder only if others perform better. They have inbuilt script to convert each and every URL with short URL on our blog or site. Means install script and all URLs will be converted into profitable links. One of the oldest and most famous URL shortener platform. We just need to create an account as publisher, then install their Page script or other script units available to start monetizing our website. Rates for CPM vary according to visitor locations. You can check Payout rates page listed on official site. Another famous and trusted platform in industry. Shorte.st is really amazing network with good interface. We can easily earn money from blog or site using shorte.st. They have various tools and scripts like Mass shrinking, Page Script, API integration. 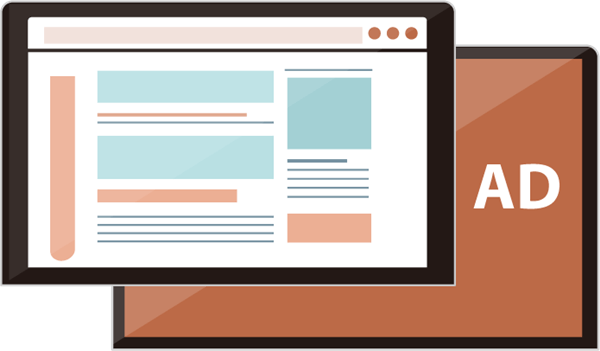 Personally We recommend Page script where we can adjust Popunder, Entry and exit ads. This will convert all the URL into profitable links. If we need to exclude our own domain and just want to convert external domains then this option is available. They offer really attractive CPM rates according to visitor locations. Overall this network is really good in all google adsense alternatives. Native Advertising is really fastest growing technique these days. Unlike banner and other noticeable ads Native is well performing. These ads are basically article suggestion method from other advertisers sites. 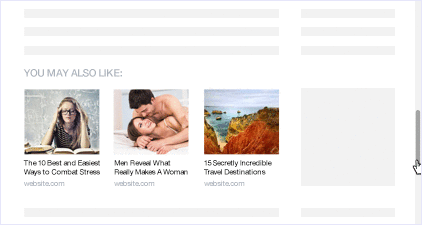 Just like we can place Related Post at the end of an article similarly many famous blogs are using Native ads to earn from that portion. So native ads actually act as good adsense alternatives. Adnow is one of the famous native platform. No doubt there are many big platforms like taboola, outbrains. We will not discuss about them because they have hard approval system. So for medium sized publishers these types of networks are suitable. Adnow is available for both advertiser and publisher. We can easily sign up and add our site. No approval is required, simply create widget and install it to start earning. Another famous native ad network with amazing features. It is a good content recommendation network. There are number of different widgest available through which we can earn. Approval system is a little hard. Overall performance of this platform is good. Another best option for those who have niche based sites. Direct ad means in which no third party serve ads but we need to join any marketplace advertisers and publisher can find each other. So direct deal will be done between them. So there are numerous platform. BuySellAds is when known name in industry for direct advertisement. This platform can be act as google adsense alternatives but the major problem is getting approval. We can list out fix rates for various ad space. This is another similar platform like BuySellAds. We can use this platform as an alternative to adsense. We just need to apply for an account. Getting approval is very simple and most applicants are given approval within a reasonable time. The most common problem which we all face while choosing an ad network is, Finding a network which performs better and what is the secure way to use them. Instead of using too many ad networks, what is a right procedure? Lets discuss. Most important thing which we should keep in mind is “our Site Niche”. If you want to use additional platforms along with adsense for extra earning, then we recommend Infolinks, auto affiliate and any native platform. Don’t go for popunder with adsense. Try to apply direct ad platform also. If adsense is in-applicable, then for site like file sharing, movie sharing, etc. choose between propeller and revenuehits along with URL shortener with Page script but disable popunder. If you want to use other network popunder, choose individual Popunder ad networks. But try to use only single platform popunder which performs better. Test all of them one by one. If your site is on software reviews, product reviews, software sharing then use Revenuehits, along with Skimlinks or viglinks and also native if applicable. Never use more that 3 ad network at same time like instead of using banners ads from 3 network prefer using it from single. Instead of using popunder ads from 2, 3 networks choose only one. Best combination is use max 2, 3 banners and along with native. If using popunder, then also use URL shortener only for links but disable popunder, entry or exit interstitial and place banner max 2. If using more than 2 network try not place more than 1 ad unit of any network above upper fold. Using less ad in effective way will protect your site from penalty. So better try all and then make best combination by reducing less earning formats. We hope this guide will help you a lot and definitely able to find best Google Adsense Alternatives platform. Only thing which matters is traffic and its quality. Best way is to analyse what perform better is test different network step by step as explained above and start earning. For any queries please leave your comment.